The Fae wonders of the world only exist while there are those with the sight to see them. Through the centuries, Europeans made note of which plants were attractive to wee folk and which plants offered protection from Faeries. Remember that most flower faries will reveal themselves in the colors of the flower itself. The faeries of this flower are very beautiful. 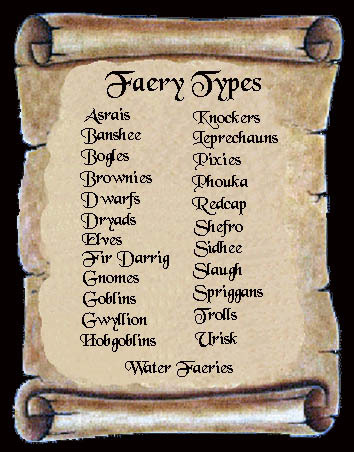 These faeries bring good fortune and strong energy. This faerie spirit is more of an elf form. Wherever basil grows, there usually is a dragon to be found serving as protector. 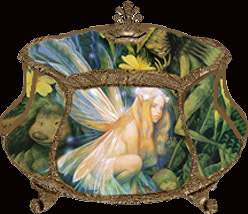 These faeries are compassionate and empathetic towards humans. If this flower rings in your garden, an evil faerie is near. One of the most potent of all the faerie flowers. Red carnations draw faeries who enjoy healing animals. Wildly attractive to faerie life. Four leaf clover will break an evil spell. This is the best for attracting faeries into your yard. Loved and guarded by faeries, this flower has power to find hidden faerie gold. This flower draws all faeries, elves and nature spirits. Said to be used by the faeries for making beverages. Faeries dislike the scent of this plant. A favorite of earth elementals, worn by faeries sometimes as hats and gloves. A favorite of fire elementals. 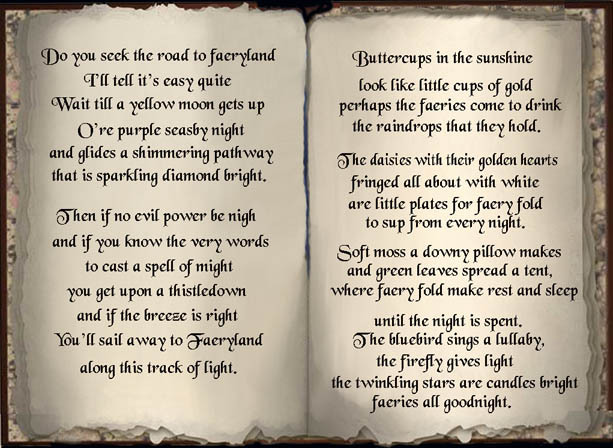 This is a favorite of faeries, especially the pink variety. The faeries of this flower manifest in all the colors of the rainbow. The faeries of this flower and the other nature spirits it draws are very protective. The scent draws faeries. The faeries of this flower are musical. The faeries and nature spirits associated with this flower hold the mysteries and magic of thunderstorms. Used by faeries to mark the boundries of their dancing circles and portals to their worlds. Attracts parades of trooping faeries. The faeries of this flower are of elf form. They are more overseer and guardian. Believed to give the faeries their power of invisibility. A rye-grass used by faeries as make shift horses. This is one of the most sacred flowers, the faeries and spirits of this flower have strong ties to their elder brothers and sisters, the angels. They hold the secrets to time and it's exploration. Gives protection from baneful faeries. A favorite of air elementals. Celtic faeries adore this plant. These faeries hold knowledge of the hidden significance of events, people and things. This flower is sacred to all faeries, especially the Faerie Queen. 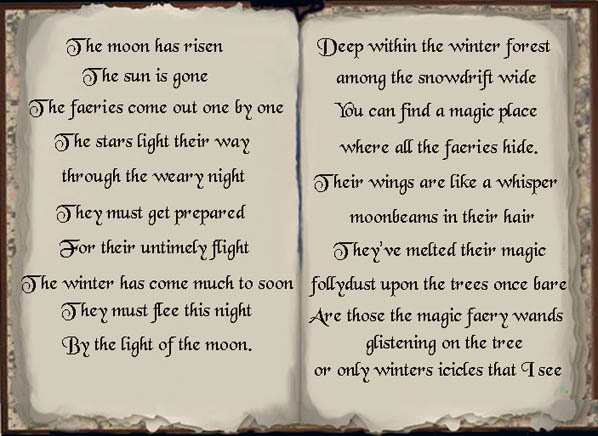 Faery Moon being with the first full moon after the Winter Soltice. Birch Moon: Moon of Inception and Beginning. Rowan Moon: Moon of Vision, Spirit Moon, Astral Travel Moon. Alder Moon: Moon of Utility, Efficacy and Self Guidance. Willow Moon: The Witches Moon, Moon of Balance. Hawthorn Moon: Moon of restraint and hinderance, summer moon. Oak Moon: Faery Moon, moon of strength and security,Bean Moon. Holly Moon: Moon of encirclement, moon of polarity. Hazel Moon: Moon of the Wise, Crone Moon. Reed Moon: Moon of the Home, Heatth Moon, Winter Moon, Truth Moon. Elder Moon: Moon of Completeness.. The Faeries went from the world because men's hearts grew cold, and only the eyes of the children see what is hidden from the old. Like Legend and Myth, magic fades when it is unused, hence all the tales of elfin kingdoms moving further and further from our world. Magical beings require our faith, our belief in their exictance to survive, they require our recognition.